Natural Dog Remedies – Can Natural Remedies For Dogs Help Your Dog? Can They Help Your Dog? Using natural dog remedies to cure dog health problems has become a popular trend in recent years. First up, you should keep in mind that there's no substitute for treatment by a real animal professional. Don't rely on natural remedies if your vet has told you your dog needs some other medical treatment. That said, there are plenty of natural remedies that can work in line with the recommendations of most vets, so let's look at some of the benefits of natural dog healthcare and some remedies you can use for certain health problems in your dog. This is Torrie using another natural dog remedy... relaxing in a beautiful garden. 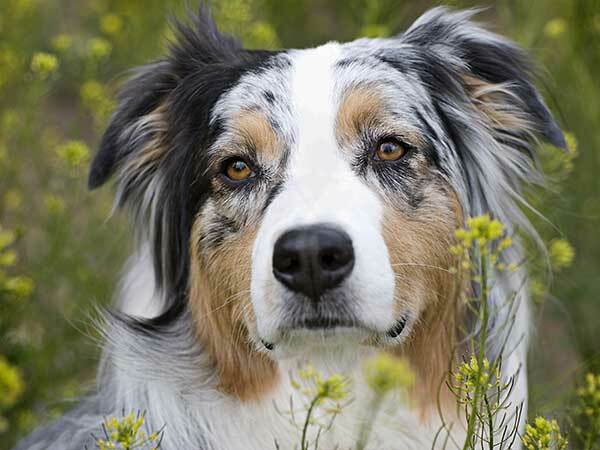 There are a few good reasons to use natural remedies for dogs. For one thing, many chemical medicines have nasty side effects. Again, though, never use a natural remedy you've found in place of a prescribed medicine unless your vet tells you it's okay to do so. Another reason you might want to use natural remedies is because they're relatively affordable, compared to buying a packaged product. For instance, you may be able to save money by creating your own natural flea treatment, rather than buying a commercial flea dip or shampoo. One of the other big advantages of natural remedies is that they're often geared to treating problems at their root, rather than focusing on symptoms. By taking a holistic approach to treating your dog's health problems, you can help keep her body in balance and avoid disease and conditions developing in the first place – rather than trying to cure them once they're already out of control. There are actually quite a few products available today for dogs which are based on natural ingredients – although you should be careful and check that they are 100% natural, as some companies are simply trying to cash in on the natural product market with products that are really full of chemicals. Now, on to some remedies you can try at home. Pureed pumpkin has been recommended as a treatment for mild diarrhea (but beware if the diarrhea is severe, is black in color or contains blood you should be seeking immediate vet attention). Ginger is another common natural remedy for dogs – it act as an anti-inflammatory, which means small doses of ginger can be useful for a variety of problems including relieving the pain of arthritis. 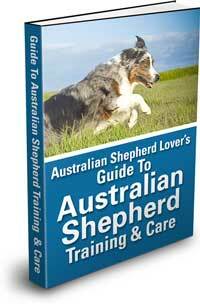 There are many packaged natural products designed specifically for dealing with joint problems (both relieving pain and treating underlying causes), such as hip dysplasia, which is a common inherited disease in Australian Shepherds. Fleas are a very common parasite and one for which there are many natural treatments. Most effective natural flea treatment products on the market are based on pyrethrin. Flea treatments are one area where the benefits of going natural are huge, as many chemical flea products can cause serious adverse reactions in some dogs like convulsions and vomiting.